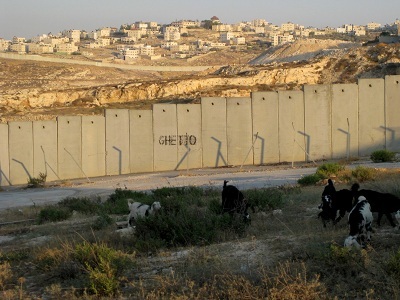 “Under the pretext of development, the Israeli occupation authorities have been working for decades to displace Arab residents from the villages and neighborhoods in the Negev Desert,” Arab48.com reported. “Since the start of the Israeli occupation of Palestine in 1948, all of the indigenous Palestinians who managed to stay in their homes have been called Israeli-Arabs. Consecutive Israeli governments have been trying to assimilate Arab communities, but most of them insist on maintaining their Palestinian identity,” the website added. “Negev is the battlefield for one of the fiercest struggles of this kind. The Israeli government has tried to implement several “development plans” over the years in an effort to move the Palestinian communities to what are, in effect, reservations or “Bantustans”, taking them off their land and destroying their traditional way of life. Many of those affected are Bedouin who are promised homes in new townships, compensation and other preferential treatment. Although some of the people have accepted the Israeli offers and moved willingly, the government has not fulfilled its pledges. “One of the latest projects was the five-year economic development proposal called the Prawer Plan. The “Israeli-Arabs” rejected it and organised massive protests until the government suspended it. Agriculture Minister Ori Ariel has now revived Prawer and allocated 3 million New Israeli Shekels towards it. His cabinet colleague, Finance Minister Moshe Kahlon, has agreed to include it in the 2017 budget. “To oblige the Palestinians to leave their homes, successive Israeli governments have cut basic services such as electricity, water and the sewage infrastructure. 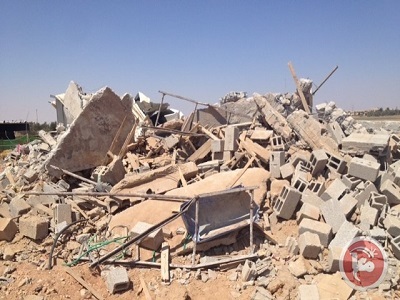 They have also carried out mass demolitions of homes in the targeted villages and neighbourhoods, one of which — Al-Araqib — has been demolished 105 times; the residents rebuild the village every time the government bulldozers destroy it.